The terms of reference of the Fourteenth Finance Commission are conventional, but a number of additional terms of reference do enable it to break some new ground. It hopes that the FFC will restore horizontal federal fiscal equity in the distribution of revenues and recommend special fi nancial assistance to big cities that face an unprecedented pressure on urban services. The proposal to extend reservations to the private sector has generated mixed reactions. The private sector is divided on the idea. The issue may go yet again to the Supreme Court. 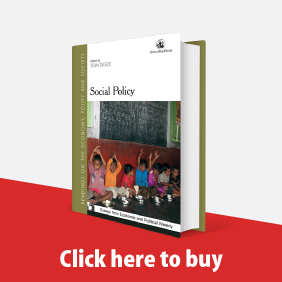 The implications of the proposal could be that labour productivity in the private sector may decline, the undeserving among the SC/STs and OBCs may get most of the benefits as they have managed to in the public sector in the past and for the really marginalised SC/STs reservations may not mean much as they are not equipped to avail of the benefits. Read more about Why, How and for Whom? The quiet indifference with which the appointment of the Twelfth Finance Commission has been greeted in academic and state government circles bears testimony to the decline of the Finance Commission as a constitutional institution. Against this backdrop it is useful to try to understand the true intentions of the framers of the Constitution and to bring out the many ways in which powerful sections of society have manipulated the composition, terms of reference and even the recommendations of successive Finance Commissions to serve sectional and regional interests. ﻿work outside the home in hospitals and Air Force offices? Why not remove sexist Mat by showing that theirs no such thing as womens work? And what better way than by stressing that it is perfectly normal and respactable for men to be doing housework? Sums should be able to demonstrate precisely that. Like: "A man has one hour to cook rice, vegetables and dal before his wife returns for dinner from relief work in a slum devastated by communal riots. If both rice and dal can be pressure-cooked together in IS minutes, how much time should he allow himself for the vegetables if he also needs 20 minutes to nip down and buy bread and eggs for the next day's breakfast?" An article, in a recent issue of the Illustrated Weekly (To Bad to be True,' January 9-15) refers to a question in a BJP maths textbook for primary school children in MP: "If IS kar sevaks demolish the Babri Masjid ;n 300 days, how many kar sevaks will it take to demolish the masjid in 15 days?" 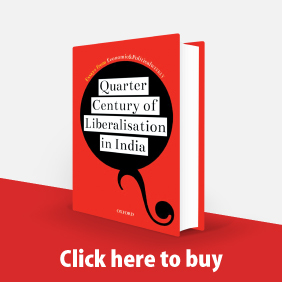 The author describes this as an indication of the absurdity' of Hindutva ideology. Personally, I would say that it is not absurd so much as shrewd and clever Diabolically so. The truth Is that textbooks can be designed to be dynamite. Or they can remain dull and innocuous. NCERTs quadratic-equation style of promoting status of women seems merely pathetic Tax Sharing in India G Thimmaiah S GURUMURTHI has presented an alternative system of tax sharing in India (EPW, March 20-27, pp 525-30) in which he has suggested that the central govern- ment should share 33.33 per cent of the gross revenue from central taxes, inclusive of those levied under Articles 268 and 269 and also additional union excise duties. If we study his proposal carefully it becomes clear that the state governments are not going to gain much under his sug gested alternative compared to what they are already getting. 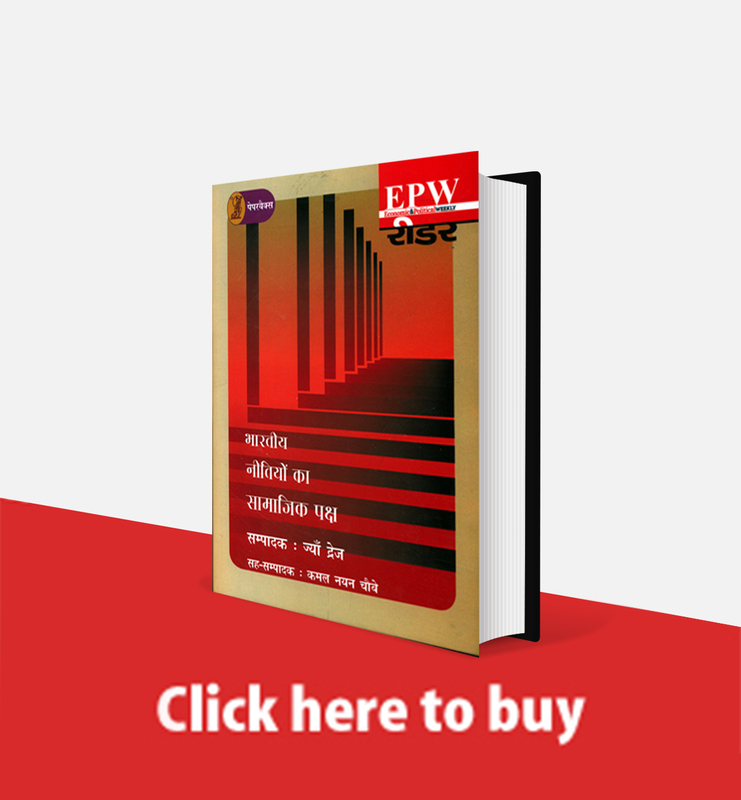 ﻿State and Right to Education G Thimmaiah S P SATHE in his article on the Supreme Court judgment in the Mohini Jain vs Karnataka case [EPW, August 29] has analysed the implications of the judgment. In particular he has examined the socioeconomic implications of the questions whether the right to education is a fundamental right, whether capitation fee is violative of the right to equality and whether the state should provide education at all levels. While examining the question: "Must the state provide educational institutions at all levels? ", he has failed to provide logical justification for state intervention in higher education. He has argued: "If primary education is required for enabling people to live with dignity and therefore must be made a fundamental right, higher education will provide competent manpower for performing various services for society. Society requires able administrators, efficient professionals like doctors, engineers, chartered accountants and lawyers, competent technologists and scientists and various social scientists and scholars of humanities who would maintain the high cultural level of social life. The money spent on higher education is a good investment in human development" (p 1848]. This textbook justification of state intervention in higher education creates more contusion than the Supreme Court judgment. State intervention does not necessarily ensure excellence in education as it has been borne out by the past 45 years of our experience. It can at the most provide opportunities for those who do not have means but possess eligibility to get the benefit of higher education. In a country which is short of investible resources, both at the central and state levels, it would be self-defeating if any government attempts to provide all levels of education to the people. Therefore, one has got to decide about the priority and this priority has been very clearly indicated by the Constitution. Without understanding the priorities set by the Constitutional provisions, if we ask the government to provide all levels of education, we will be left with the large majority of the people without elementary education. Sathe in an attempt to characterise capitation fee as a source of inequality in education, has forgotten that his justification for state intervention in higher education will be much more in- equitous in the Indian context. This needs some elaboration. ﻿Exemption Limit for Income Tax G Thimmaiah RAVINDRA H DHOLAKIA (RD), in his com- ments (EPW, November 25,1989), on the paper 'Exemption Limit of Personal Income Tax: An international Comparison' by Pulin B Nayak and Pawan K Aggarwal (NA), has questioned their rudimentary analysis which they have used for drawing sharp conclusions and unqualified policy recommendations for lowering existing exemption limit for personal income tax in India. He has also questioned their methodology particularly the way they have estimated the normative level of exemption limit by using regression analysis and comparing the actual exemption limit with the normative level and for concluding that there is no case for raising the exemption limit on personal income tax. He has even attributed motives merely because their study was sponsored by Central Board of Direct Taxes. ﻿Poverty Measures and Their Relevance for Tax Devolution G Thimmaiah AMARESH BAGCHI AND UMA DUTTA ROY CHOUDHURY in their paper (April 15, pp 831-836), have argued that the poverty ratio as well as other indices of backwardness have no relevance for inter se distribution of tax devolution. In support of their argument they have maintained that since the main objective of financial devolution in a federation is to reduce wide disparities in the levels of public services, the Ninth Finance Commission (NFC) should formulate its scheme of tax devolution with a view to equalising the revenue raising capacity, of the states. There are two issues involved in their contention. First, whether poverty or any other measure of backwardness can be used as an indicator of the relative revenue raising capacity of the states, and second, whether the poverty ratio as it is presently estimated can be used by the NFC inter se distribution of tax devolution. Their answers to both the questions are negative. While their arguments against the use of poverty ratio as a supplementary criterion for tax devolution is only partially convincing, their contention that it cannot be used lor measuring the relative disparities in revenue raising capacity of the states is not convincing. It is possible to use the poverty ratio as an indicator of revenue raising capacity. 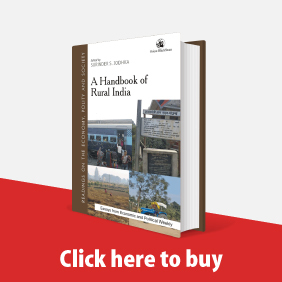 But it is not advisable to use it because: (i) per capita SDP and poverty ratio are to some extent positively associated and therefore, better-off states (judged in terms of per capita SDP) which can finance their expenditure needs to a large extent from their own revenues tend to receive more tax devolution, and (ii) the poverty ratio as it is presently estimated involves many deficiencies. Therefore, it is advisable to use a composite index of development for inter se distribution of tax shares. ﻿Concurrent Evaluation of IRDP IN his response to my comments on A P Saxena's article on 'Concurrent Evaluation of IRDP', J George has maintained that I have failed to perceive the value of Saxena's points raised in his article and therefore he has passed the judgment that I have not added anything new to our knowledge about the weaknesses in the implementation of IRDP. 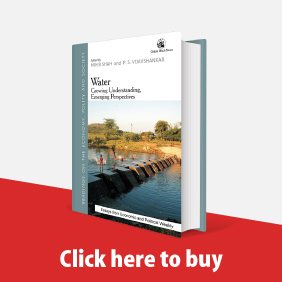 He has gone on to elaborate the administrative lacunae involved in the implementation of IRDP by drawing upon the experience of Rajasthan's administrative set up. ﻿Terms of Reference of Ninth Finance Commission Further Comment G Thimmaiah IN his reply (EPW, November 28, 1987) BPR Vithal (BPRV) has maintained that (i) my defence of the use of the word 'shall' in the terms of reference of the Ninth Finance Commission (NFC) amounts to defending the right of the union government to give directions to the commission; (ii) my justification of the union government's directive to adopt normative approach on the excuse that past Finance Commissions failed to develop a more appropriate approach is an insult to the commissions; and (iii) my extensive advice on how to opera- tionalise the normative approach is naive and based on unrealistic premises. ﻿Concurrent Evaluation of IRDP G Thimmaiah IN his article Concurrent Evaluation of IRDP', A P Saxena (September 26,1987) has evaluated the concurrent evaluation of IRDP conducted by the DRD of the union government. He believes that ex post evaluation does not provide for remedial measures and mid-course corrections in the programme and, therefore, he prefers concurrent evaluation for improving the effectiveness of implementation. But he has not explained as to what extent the concurrent evaluation sponsored by the DRD has helped the DRD in effecting mid-course corrections. It may be of interest to mention in this context that the ISEC, Bangalore, was one of the institutions chosen by DRD for undertaking this concurrent evaluation in about 10 districts of Karnataka. We have been passing on the information collected through the coded schedules to the government of Karnataka and also to the DRD, union government. But, we do not know either from their annual reports or from any other published document to what extent they have used the findings of the concurrent evaluation for introducing mid-course corrections wherever found necessary. Saxena has not bothered to examine this aspect. ﻿Terms of Reference of Ninth Finance Commission G Thimmaiah IN their article published in EPW (July 25) B P R Vitha. and M L Sastry ( V and S for short).have analysed the implications of the composition and terms of refrence of the Ninth Finance Commission The purpose of" this note is to point out certain misconceptions in their interpretation of the terms of reference. V and S have maintained that it is not necessary that the government of India should give any directions or guidelines for the Finance Commission by using such words as "shall have regard among other considerations, . .'' because they are not envisaged in the Constitution. Fur ther, they have observed that "the union cannot through the Presidential Order constituting the commission dictate the manner in which the commission is to function in discharging Us duty which has been conferred on it by Article 280 of the Constitution. The terms of reference as at present worded therefore arc unconstitutional. I hey should either be amended to fall in line with the phraseology of the terms of reference of previous commissions or the Finance Commission should itself ignore this direction as being repugnant to the provisions of the Constitution under Which the commis sion has been constituted" (p 1249).